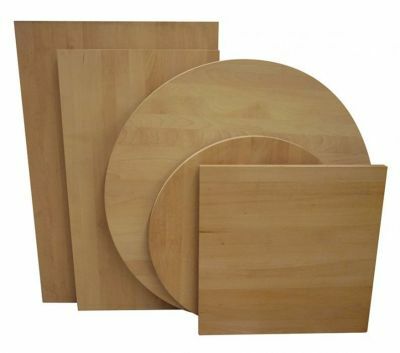 Solid beech table tops 25mm thick in a selection of wood finishes and delivered in 7-10 days from order. Available in a wide selection of shapes and sizes. Solid beech tops available in a variety of wood stains. These café table tops are 25mm thick and designed for commercial use. Designed to an extremely high commercial standard, mix and match these tops with our etensive range of table bases.